Guests at Hacienda Encantada are treated to a unique and thrilling culinary experience that sends their taste buds on a journey through the many regions and flavors that Mexico has to offer. 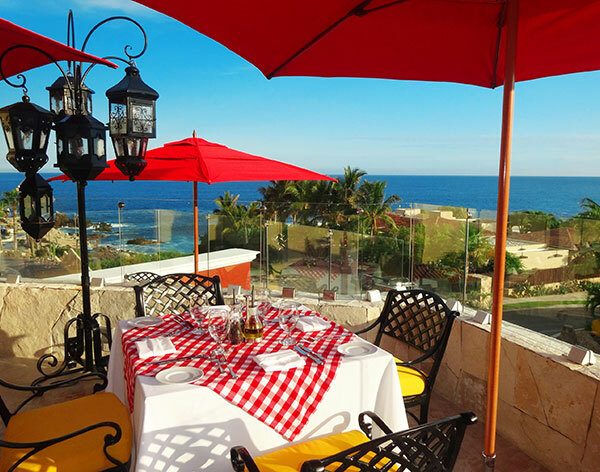 Hacienda Encantada is home to some of the best restaurants in Cabo, including three Hacienda-inspired gourmet restaurants, two casual restaurants and swim-up pool bars. 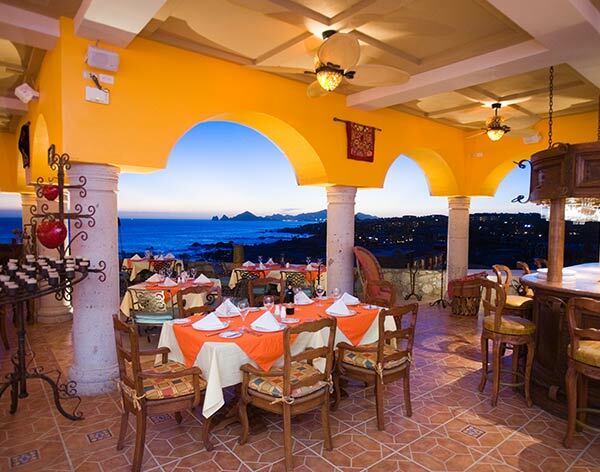 Dining in Cabo is taken to a whole new level at Hacienda Encantada. Outstanding room service is available 24 hours a day, and catering can be provided for any celebration, social gathering, private party or family reunion at an additional fee. 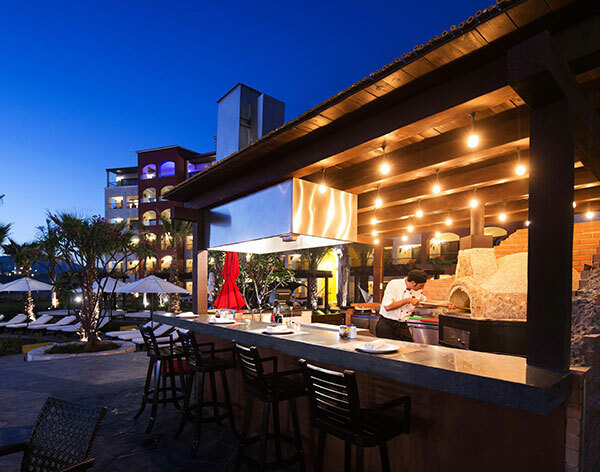 Hacienda’s central location makes it ideal for exploring the other culinary delights at the Marina Los Cabos in the Golden Zone, where some of the world’s most renowned chefs have set up shop. 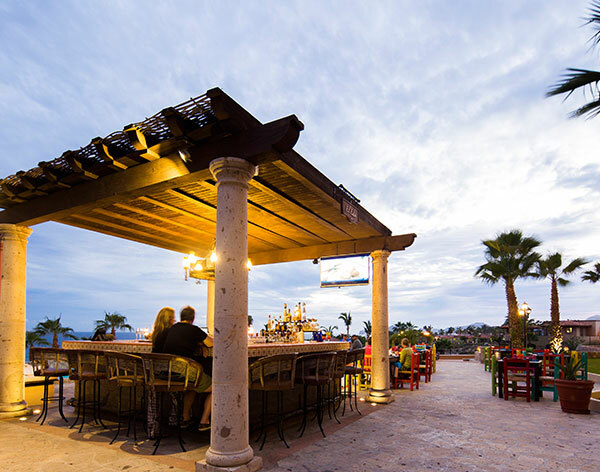 Hacienda Encantada invites guests to review its Dine Out Privilege option, a unique and innovative all inclusive plan allowing guests to dine at onsite restaurants and also have the option of dining at the Golden Zone. Affords diners a truly breathtaking culinary experience from cliff-top balconies overlooking the clear, blue waters of the Sea of Cortez. 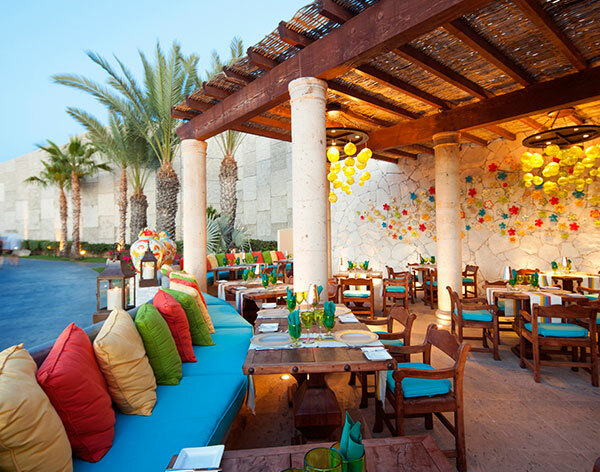 The restaurant itself is decorated in a unique and traditional Mexican style and serves up some of the most authentic Mexican food to be found anywhere when dining in Cabo. Las Marinas serves breakfast, lunch and dinner. 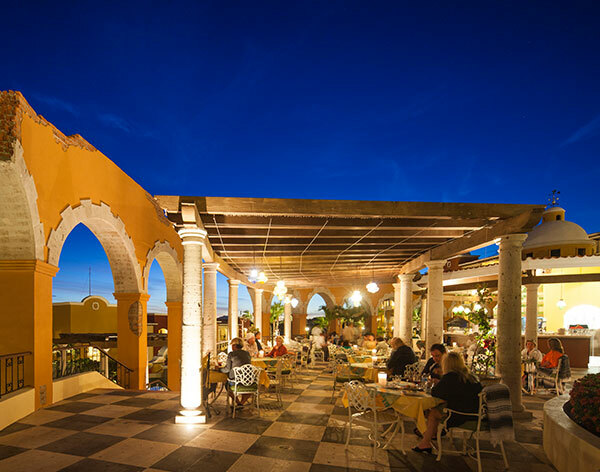 Located high above the sea and hotel below, La Trajinera brings diners back to the past. La Trajinera’s décor is colonial-inspired and features wooden tables, plush upholstered armchairs and an incredible dark-wood colonial glass-door bar back for guests to have a signature cocktail at. Coupled with outstanding delights from Hacienda Encantada’s team of culinary masters, La Trajinera affords a unique dinner experience for any guest. La Trajinera is open daily from 6:00 pm to 10:00 pm. Offers several locations for guests to grab a quick snack or refreshing drink while they lounge at Hacienda Encantada’s incredible pool. Those guests who prefer to stay in the water can take advantage of the beautiful swim-up sports bar that features some of the best views of the Sea of Cortez in all of Cabo. Daily food and beverage pool service is offered from 10:00 am to 7:00 pm. For guests looking for a casual yet delicious dining experience, La Pergola is the perfect restaurant. Located under a shady pergola, this restaurant features a selection of casual fare that includes: sandwiches, grilled hamburgers, shrimp baskets, “Arrachera” flank steak, traditional Mexican fare and more. La Pergola serves lunch and pool service and is open daily from 10:00am to 5:00 pm. 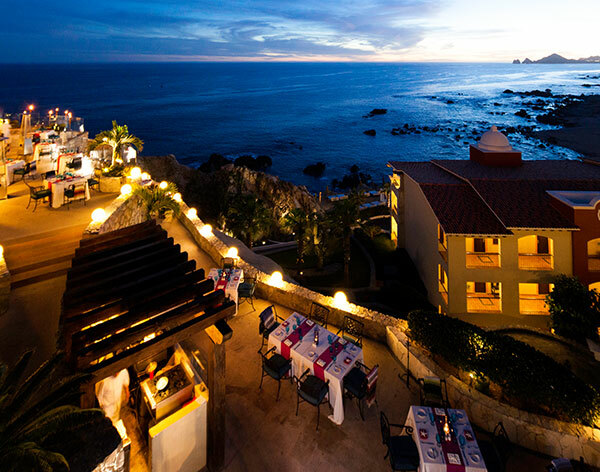 Dine Under the Moonlight and the cliffs that frame our terrace restaurant "Los Riscos Bar & Grill." 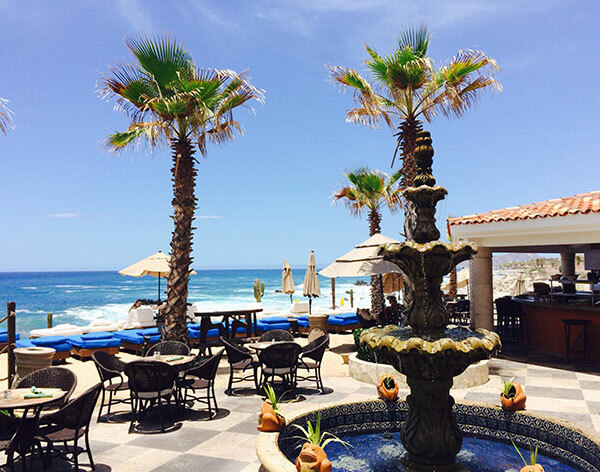 The gentle murmur of the sea and the waves crashing against the beach set a relaxing mood, while diners delight in our new Mexican specialties and enjoy an experience that is both one-of-a-kind and memorable at Los Riscos Bar & Grill at Hacienda Encantada Hotel . This unique dining experience provides guests with a front row seat to watch skilled chefs prepare a well known authentic Mexican favorite: Tacos. Being a Tequila Bar, El Eden provides a fun and inviting atmosphere for guests to enjoy. Tacos and Tequila are a Mexican tradition, and El Eden offers the perfect environment and authentic flavors for guests to experience this traditional cuisine.